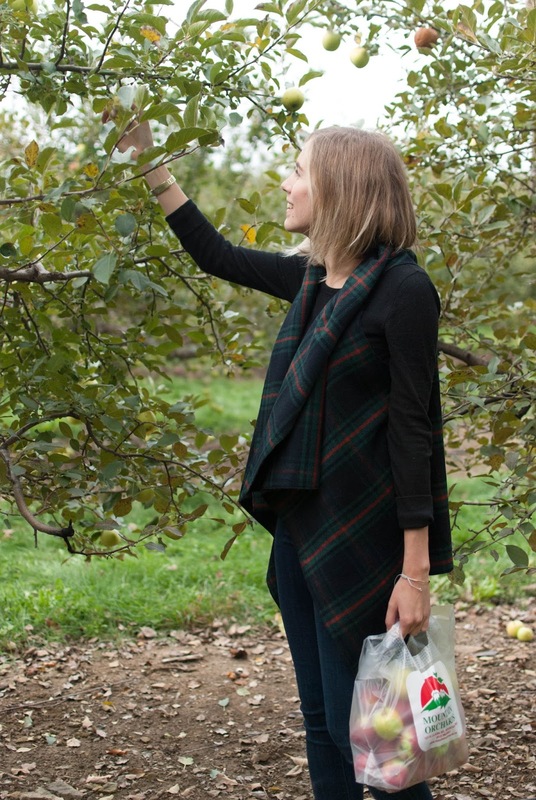 Apple picking is one of my favourite fall traditions! Andrew and I make a concerted effort to get to the orchard every year (here is last year's post!) and this year we made it out early enough to just catch the end of the Macintosh apples which are my favourite! We switched up our tradition a bit this year and went with friends and their one year-old daughter which made it a different, albeit very fun experience. It's hard to believe we're at that phase in our life where we're hanging out with our friends and their kids, but I wouldn't have it any other way! 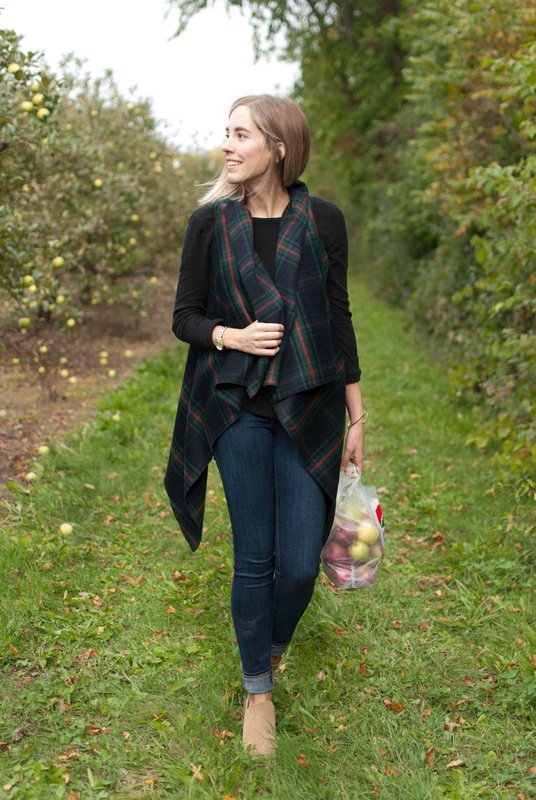 So let's talk about my outfit because a lot of time goes into planning the perfect apple picking outfit. You've gotta dress the part! It's an optimal opportunity to wear your peak-autumn wardrobe pieces! My plaid vest is handmade here in Ottawa by the ever-so-talented Blondie Apparel. I caught it out of the corner of my eye while at the Etsy Made in Canada show a few weeks ago and walked past it, but after about half a second I traced my steps back and tried it on. I loved it the instant I put it on and bought it without hesitation. Technically you can wear it three ways–like I'm wearing it, flipped so it's shorter at the bottom and cowled at the top, or like a scarf. Who doesn't love a versatile piece! Really, there's no arguing that it's definitely one of my favourite pieces for this season. Whether it's with jeans and a plain t-shirt, over a dress, or even with a plaid shirt. It's not apple picking unless you eat half of what you pick! 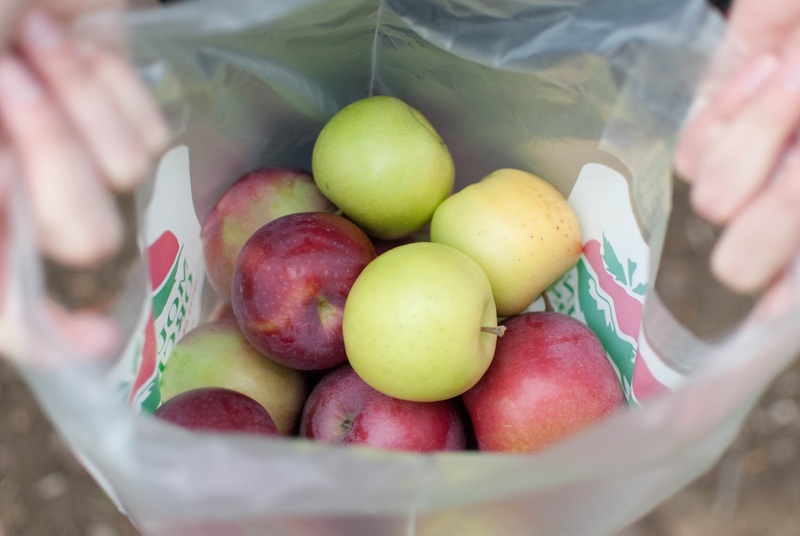 Nothing tastes like the essence of fall than an apple freshly picked right from the tree! This year's bounty yielded a 1/4 bushel of apples that are sitting in my kitchen and need to be consumed in some way, shape or form. With Thanksgiving just a few days away, I see a perfect opportunity to do some baking! Do you have a fall tradition that you try to fulfill every year? Do you dress for the occasion? I love hearing about seasonal traditions, so let me know!